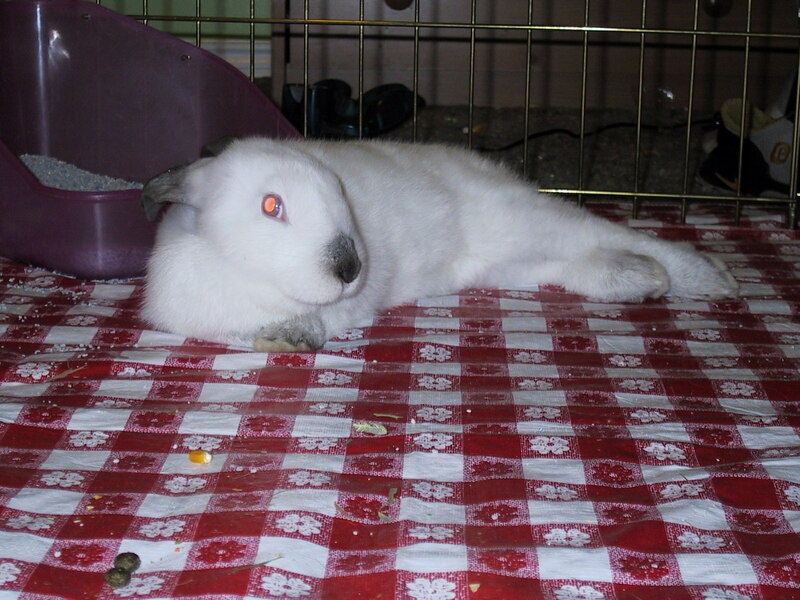 Rocky, our trusty white bunny of 12 years or so has decided that it is time for him to move on and leave this earth. I think he also wants it to happen in 2010. The countdown is on. Will he make it? Will he beat the ball in Time Square? We all just watch and wait and root Rocky along on the various steps of his journey because after all, in the end we just want what Rocky wants. We want Rocky to be happy. The last year of so of life has seemed challenging for Rock, but the last 6 weeks have seen a precipitous decline in his vitality and interest to life in general. It seems clear to us that he is dying, and moving on to the next stage of existence, whatever that next existence may be for a bunny of 12 earth years. For now we are all just checking in on Rocky periodically and looking for the signs of breathing (or just as importantly, signs of no breathing). Our champion bunners has been a big member of our family over the years. His passing will be no simple matter. As I said before, "So long Rocky, you'll be missed". The crew of Apollo 8 wish all of the world a very, Merry Christmas 1968.